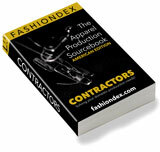 FRENCH CURVE DESIGNS solving PATTERNMAKING SERVICES production and contracting needs. Description: First patterns, production patterns and samples. Compare FRENCH CURVE DESIGNS with all 50 listings in PATTERNMAKING SERVICES.